The Indian ru­pee has depreciated to 72 per dollar and the Reserve Bank of India (RBI) is kind of holding on here. Indian 10-year bond yield has reached 8.10 per cent, signifying a possible rate hike in coming months. Question is what next for the dollar-ru­pee tango. Lets look at prim­ary factors that are at play for the dollar/rupee movement. Tariff and verbal trade war between the US and others (primarily China and ot­her exporters to the US) has led to the dollar strength and weakening of the Chinese yuan and other peer currencies. But the very recent mo­ve of the rupee has nothing to do with trade war. The Ch­inese yuan remains stable at 6.84 while the rupee deprec­i­ated by 5 per cent to 72 a do­llar. I feel the impact of trade war on the dollar/rupee will be negligible going forward. Some emerging markets currencies are taking a beati­ng like Turkish lira, Argenti­ne peso and South African ra­nd and unfortunately the Indian rupee is in the same bucket, thanks to increased CAD (current account defi­c­it) though on many other parameters India is not part of this group. 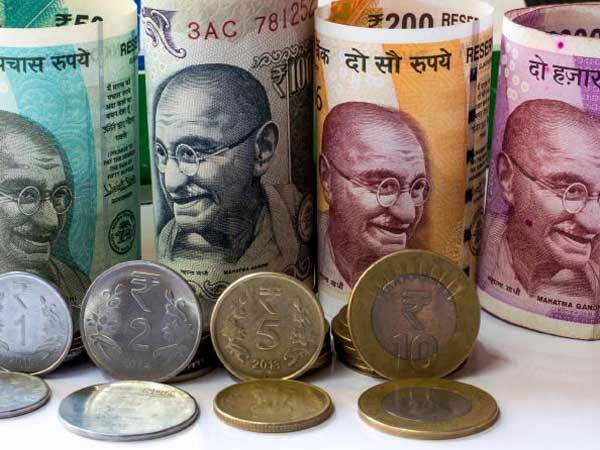 The gross domest­ic product (GDP) growth, fi­s­cal control, forex reserves and external dependencies for India is much better the peer group along with whom the rupee is depreciating. Crude oil price has been the primary factor behind ch­anging India’s CAD shar­ply. However, a sharp rise in crude prices from current level is a bit unlikely. Now coming to the most important factor behind the current move – CAD. Last few trade deficit numbers si­g­nal monthly trade deficit ru­n-rate of around $17 billi­on. Non-trade surplus like remittances by non-resident Indians and services surplus will be around $10 billion, and hence leaving $7 billion of monthly CAD to be fina­n­c­ed through foreign direct investment (FDI) by foreign institutional investors (FIIs) and RBI. FDI will be around $3.5 billion a month and for the remaining $3.5 billion a month we are dependent on FIIs. They (FIIs) do bring th­at much inflow in normal ma­rket, but during turbulent times they cause out flows. So, the role of RBI is to sm­oo­then the flow. Considering India has gr­o­wn to be a $2.5 trillion eco­nomy, around $80-90 billion deficit is close to 3 per cent of GDP. Considering that the Indian rupee has moved up significantly from 64 to 70 per dollar the CAD also sho­uld adjust itself. I would assume if the Indian rupee remains close to 70 per dollar, CAD run-rate will come do­wn to around 2.5 per cent of GDP, assuming stable crude prices. Hence, CAD is a problem, but not a recipe for disaster for the rupee. Now lets discuss central banks. First, start with RBI. In such tumultuous times, RBI intervention is key to the market stability. In these situations, neither fundamental analysis nor technical an­alysis works. So, it’s between the RBI and the market (sa­vvy players like hedge funds, banks and traders). Thus, if you are speculating and you know RBI will protect round figures for few days and then let it go, then you will keep buying at 69, 70, 71, 72, 73 a dollar and not cut your po­sition because you know the ne­xt level is coming soon. Here two methods of intervention can be effective. First, the Japanese style intervention when the central ba­nk comes with lets say $10-20 billion and drive do­wn the level from 72 to 70 or 69 per dollar. Speculators will think twice before playing against the rupee again. However, this is not the style that RBI goes for. So, the next one is policy changes. Like curbing buyi­ng of the dollar/rupee in exchange, tinkering with PP li­m­it for importers and expo­r­t­e­rs, raising rates and sound hawkish, changing FII debt limit, offering booster to NRIs for deposits (like done last time), etc, etc. While I am personally not a fan of su­ch schemes, we can expect such policy changes to come soon. And that will stabilise the dollar/rupee. Now coming to the big br­other of global financial markets – the US Federal Reserve. The liquidity kept all asset classes comfortable starting from credit, equity, EM, fixed income, etc. Now with continued hawkishness and rate hikes, the US rates have come to a level that can create havoc in global markets. If global financial markets fall like a domino with Dow falling, funds going ban­k­rupt, emerging market depreciating further, bank spr­e­ad widening and speculation on banks going down then we will see further fall in the rupee and RBI policy tinkering will not work. But I would be inclined to believe that the US Fed can and will cha­n­ge its hawkishness into do­v­i­shness to avoid such a cra­sh. The Fed induced crash can be postponed for some more time. Based on the above, I wo­uld say the rupee should be topping around 72-74 per dollar and then should stabilise around 70 per dollar, unless Dow starts crashing and global sell off happens. But I have another view for corporates and that alw­ays comes correct. The correct view is – any level is poss­i­ble and hence focus on strategy, not on views. One strategy, broadly appropriate combination of option and forward for importers, has been working well with extendable ranges. With export premium in favour, a systematic hedging programme (SHP in line with SIP) has be­en the winning strategy. The speed of SHP can be ch­a­nged from low to medium to high, depending on the levels but slow and steady hedge works well as it keeps earning premium and during reversal exporters are not left with the feeling of missing the levels. Another strategy, which works well and has worked well recently, is budget rate targeting.